With the kids shifting their summer gears to get ready for school, there’s no doubt that as a parent, you’ll want to prepare too! Undoubtedly, the school year will be a hectic one filled with band and soccer practices, exam dates and study groups, and dentist and doctors’ appointments. But keeping track of when Betty has piano lessons and when Jonathan needs to get a cavity filled doesn’t have to be a nightmare. 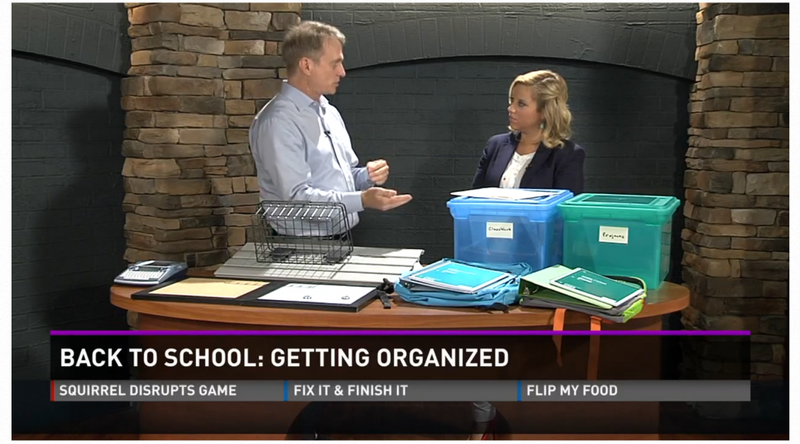 Our COO Chris McKenry visited Mornings with Fox 43 to share his back-to-school organization tips with the Knoxville, Tenn., community. From calendars to color-coding, Chris had some awesome tips to make sure you’ll be ready to ace your organization skills this school year! You can watch the full clip here. Previous PostKick Start the Summer with a Seasonal LiftNext PostFall Back in Love With Your Garage This Season!